We had planned her visit with us as an informal gathering so that Louisa would have the time to spend with our customers (and us :) which she joyfully did! Towards the end of her visit, I asked Louisa to please help me choose some colors for the Periwinkle Shawl which is pictured on the the cover of Louisa Harding Book 4 - Beachcomer Bay Accessories Collection. I have always loved this shawl and it is has been on the list of "things to make" for awhile. 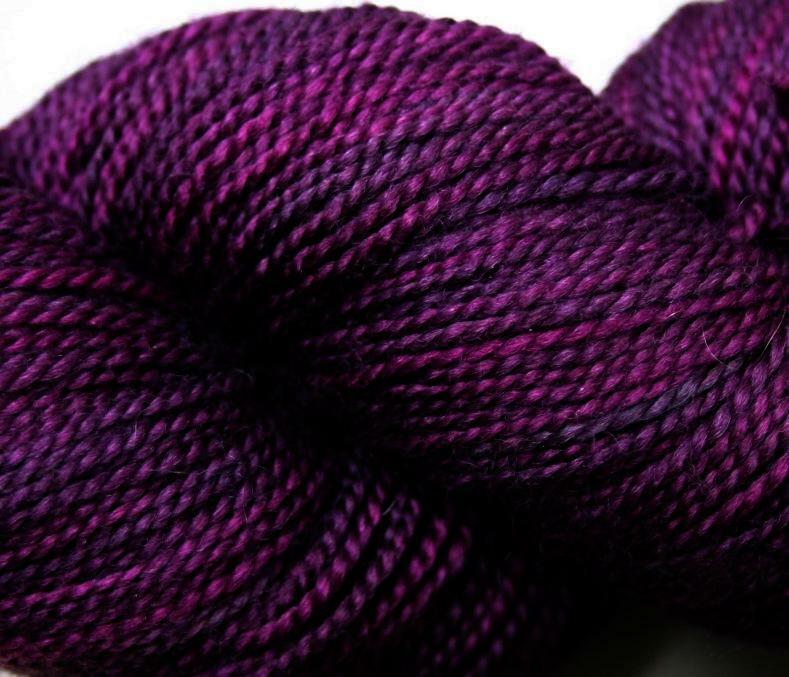 Well, not only did Louisa enthusiastically pick out a colorway for me, but she continued to assemble eight colorways in total and they are all spectacular! There is nothing better than working on a garment that screams "This yarn was hand-picked by Louisa." It is so wonderful! And the kit colors are all gorgeous! As a special treat for those of you couldn't make the trip to see and meet Louisa, we have put the kits on our website. We look forward to her visiting again, and again, and again! Here are the colorways chosen by Louisa Harding for the Periwinkle Shawl. 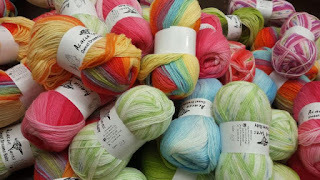 None of these colors are used in the the original design on the cover and all of the yarns vary from those used in the original design. These designs are based on Designers Choice of the yarns around her. Louisa's color choices below are just simply gorgeous! Thank you Louisa! We loved your visit! 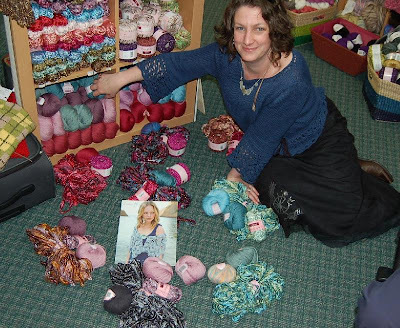 And a special thank you to Haydee of Knitting Fever Inc. for bringing Louisa to our shop! It is such pleasure to meet someone who you usually only "meet" on the phone or through emails. Thanks again Haydee and Knitting Fever for bringing Louisa to us!